This decal is miniature @ 1 inch wide. Fits perfectly on the inside of the 3DSXL. 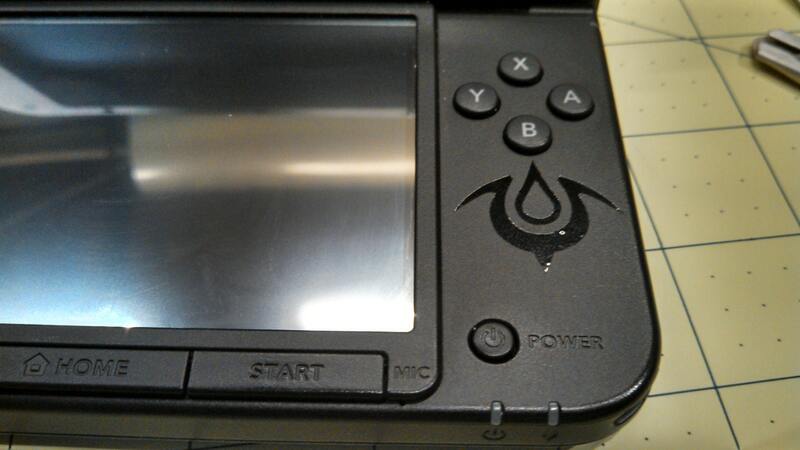 The gloss black stands out nicely on the matte finish of the 3DSXL, but we also have the silver pictured as well. This decal can be made in any color. Took a bit to ship but it's because they are very busy. The quality is 10/10 though!